All Port Republic homes currently listed for sale in Port Republic as of 04/20/2019 are shown below. You can change the search criteria at any time by pressing the 'Change Search' button below. "ON THE MULLICA RIVER. If you always wanted to watch the sun set and rise then you will not want to let this great catch get away. Fall Fishing is happening right now for perch and strippers. 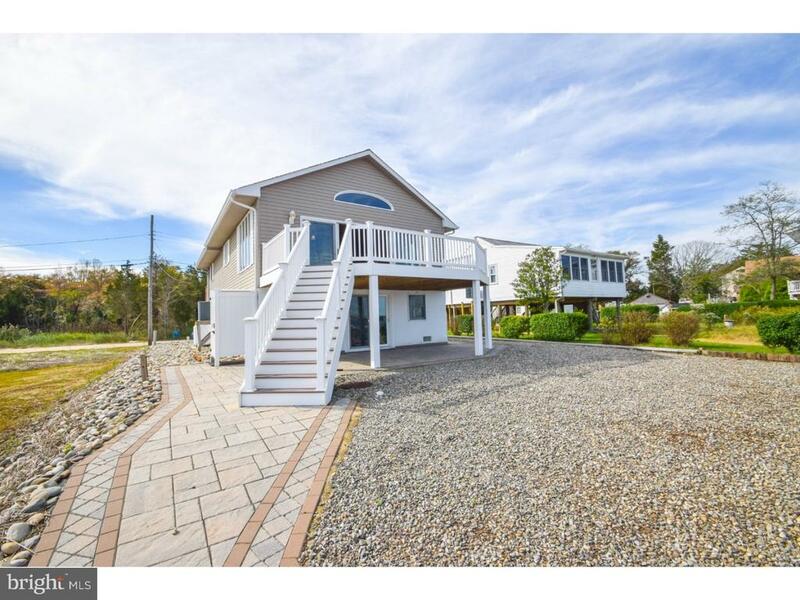 This beautiful waterfront home is nestled on a dead end road with the Mullica River at your fingertips. As you pull up to the two car garage there is ample parking for 5-6 cars. The back portion of the garage has been renovated into a nice sitting area with a powder room. In the corner of this spacious room there is a gas burning wood stove with a gorgeous view of the river through the sliding glass door which leads outdoors to a paver patio area. Upstairs there is a large deck with unobstructed views of the Mullica River. The kitchen, dining area, and living room all flow together to make entertaining a breeze. The kitchen has granite counter tops. Check out the beautiful custom built TV wall unit. There is a full bath and 2 bedrooms each with their own deck. Also included is a boat lift and dock with electric and water to clean all the fish and crabs in this fisherman's paradise. You can also enjoy wave runners, kayaking, and paddle boarding right in your own back yard. Enclosed outdoor shower is convenient after a day of water activities. Chestnut Neck Marina and Port Cafe' is within walking distance for fishing supplies and enjoying a meal. By boat you can enjoy Maxwell's Seafood, Breeeze's Restaurant, Oyster Creek Inn, Mott's Creek and The River Deck. Easy driving access to the Garden State Parkway and just 4 miles from the Towne of Historic Smithville Shops and Restaurants. Make a appointment today to see this amazing RIVERFRONT Property."